The man who won an Oscar playing the serial killer from No Country for Old Men is in talks to be the bad guy in the next James Bond film. As far as popcorn action films go, James Bond movies are pretty much the gold standard, and the plots remind me more of a videogame than anything else. The iconic main character is completely badass in every way, and he has to jump through several plot hoops in order to defeat the villain. And like every good videogame, the villain is often the most important indicator as to how good the movie will be received. In that case, having an amazingly skilled actor play the next Bond villain gets an A++ from me. Javier Bardem, perhaps best known for winning an Oscar for Best Supporting Actor for his role as the creepy killer Anton Chigurh in the Coen brothers' No Country for Old Men, said yesterday that he was indeed speaking to director Sam Mendes about appearing in Bond 23. "I'm a huge fan of the James Bond saga," Bardem told the Los Angeles Times. "When I was little, I went watching Mr. Connery doing James Bond with my father. Who in the world would think I'd be in one of those movies?" 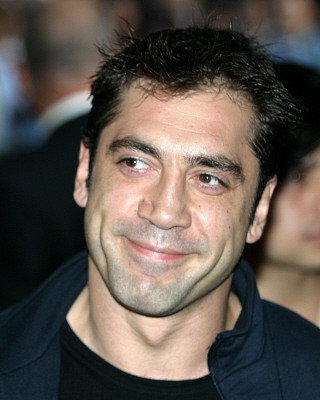 Bardem hasn't committed fully to the role, and he said that he would only take the part if the script held up to his standards. What he has heard so far about the as yet untitled film is promising though. "They're changing the whole thing, the whole dynamic," he says. "I'd be playing Bond's nemesis, yes, but it's not that obvious. Everything is more nuanced. It's very intriguing." He also said that he's interested in being able to escape into a role, and then go back home to be with his family in the evenings. "But who knows? Maybe I will go back home saying, 'I have the world in my hands,'" Bardem said with a laugh. "Evil can be very seductive."